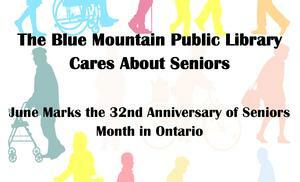 June marks the 32nd anniversary of Seniors' Month. 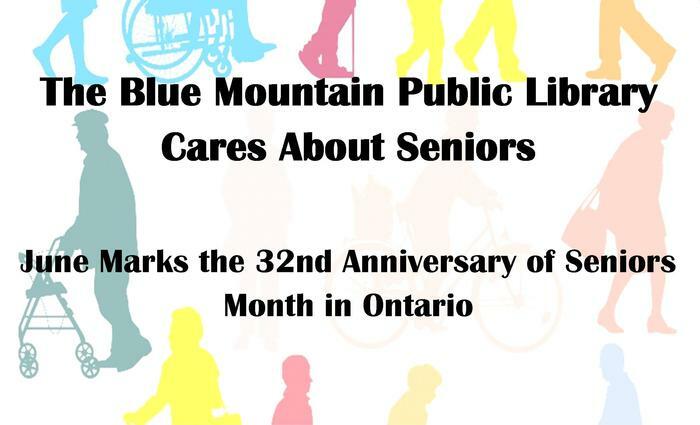 The Library is proud to be a part of the Community’s Seniors Network. library materials such as books, audiobooks, playaways, and Daisy Readers. The Library also delivers a Seniors'Storytime on a monthly basis. The next storytime: Monday June 20th at 10:30am at Errinrung. For more information, contact: BVO by phone at 519-599-2577 ext 29 or email seniors@bvo.ca.